A true Sourcer needs to be open-minded, resourceful, and creative. While some sites and tools may seem to cover the “wrong” territory, many can be used quite productively if you give them a chance and dig a little deeper. To illustrate, let’s take a look at ZoomInfo, one of the oldest sites to source for professionals, which is still going quite strong. It’s one of my favorite sites to use in sourcing. Accessing it is paid (and decisions to subscribe are all yours) but it’s also X-Rayable via Google. From a quick look, the site covers contacts in the major English-speaking countries only. However – the site can also be used (as an example) for sourcing in the Netherlands – specifically, for professionals from global companies with offices in that country. Since we won’t be able to search by that location, we can try to imagine what the found records would look like, to help to design a search strategy. Many companies in the Netherlands have “B V” as part of their name. A “B V” is a private company with limited liability, similar to LLC in the US, Ltd in England, and GmbH in Germany. Knowing that can help to uncover thousands of profiles. 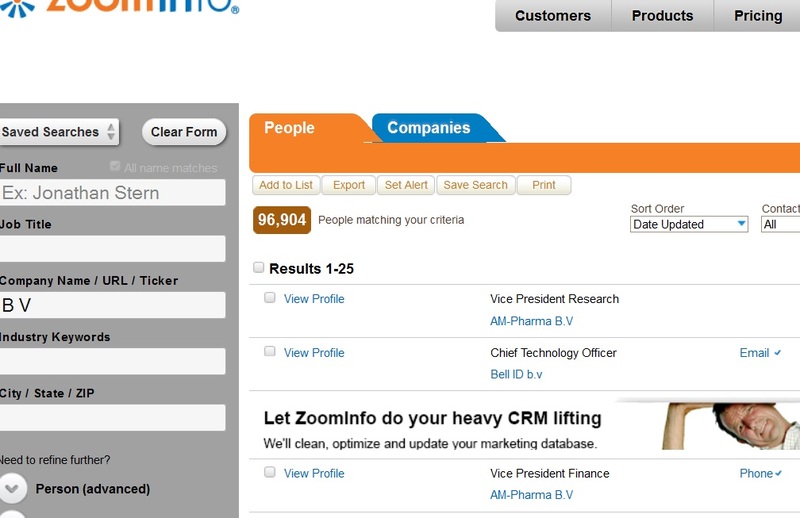 A search for B V as the company name in Zoominfo yields over 90K results, most of which will be professionals working for an office in the Netherlands. Note: I used the local Google for the Netherlands – Google.nl – for better results. 1) Generalizing the above tip, try to come up with search strategies for more contacts in the Netherlands and for contacts in a few other non-English speaking countries. 2) Can you X-Ray Zoominfo for a specific location in other ways? 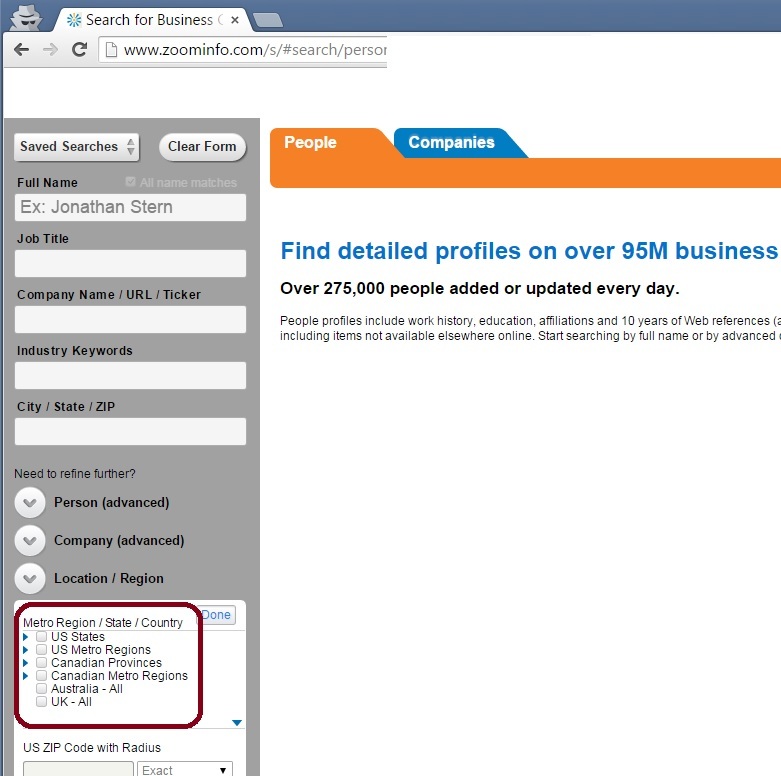 Take a look at a public Zoominfo profile to come up with some suggestions.